More cosplay pictures for your enjoyment! As an ongoing interest I post pictures of abandoned areas which have their own creepy art to them. The form of photography is sometimes referred to as haikyo, or ruins, in Japanese, based on the original photographs of the abandoned amusement parks there. 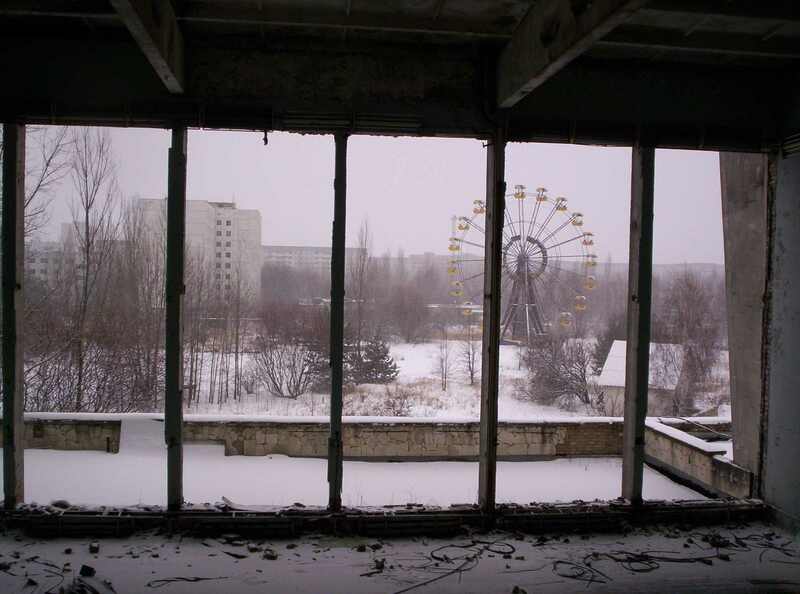 Site of the infamous Chernobyl incident, the entire city had to be abandoned in 1986 due to nuclear radiation. The “Sanzhi UFO houses” were a major development project for some pretty unusual-looking vacation homes, which was abandoned in 1978 before it could be completed. The site was demolished in 2008, and is now being redeveloped. Craco was a medieval village built high up on a steep summit for defensive reasons, but recurring earthquakes eventually made it impossible to sustain. Today, less than 800 people live there in a commune, while the majority remains eerily uninhabited. Formerly a bustling diamond mining town, after the market declined, inhabitants began leaving the town after WWI; by 1954, it was completely deserted. As it was an enclave for German colonialists for many years, the architecture is not only out of place, but its abandonment enhances it even more. Oradour-sur-Glane was a village destroyed by a German military unit in 1944, killing 642 of its inhabitants. Although a new village was built nearby to replace it, today the original village stands as a memorial. Centralia was once a prosperous mining town, but in 1962 a mine fire broke out, which continues to burn off the coal underground to this day. As a result, its population is 10 as of 2010, making it one of the least-populated municipalities in Pennsylvania. For you researchers out there. Over half the world population lives in that one circle. One of my dogs, Barclay, the playful Shi-Tzu can make a game of anything. His favorite toy right now is his red blanket. He lays on it like a pillow like most dogs, but he also makes it into a fort draping it over the couch and coffee table. He also covers himself and has you fight with him while he can’t see. You tap his paws or face and he bites at the hidden intruder. 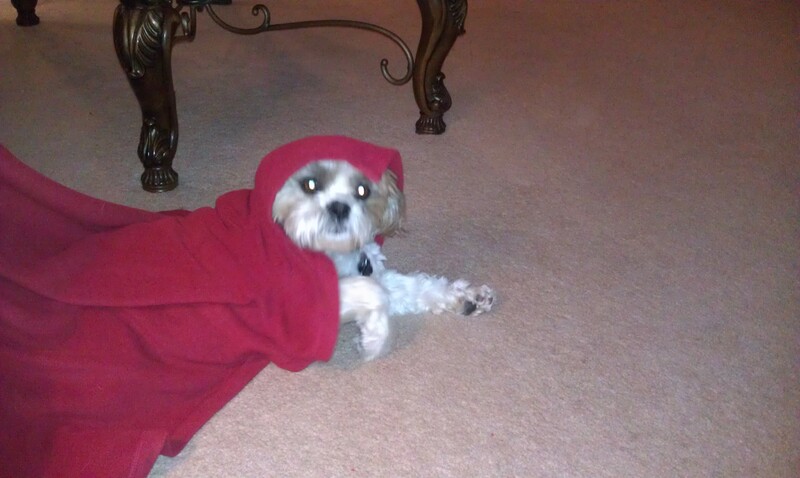 My favorite though is when he plays Little Red Blanky Hood. The Extraordinary Adventures of Adele Blanc-Sec can be seen for free on Netflix and I recommend it. It is subtitled in English, being a French film, but that does not detract from the whimsical nature. Though set in the early 1900s, it has a Steampunk flair to it. The lead is Adele Blanc-Sec, a female adventurer similar to Indiana Jones. The film includes pterodactyls, mummies, mysticism, action and lots of humor. It keeps up the light tone throughout and is fun for all. A family could easily watch as it would be rated most likely G or PG-13. The comic book it is derived from. The Extraordinary Adventures of Adèle Blanc-Sec (French: Les Aventures extraordinaires d’Adèle Blanc-Sec), released as Adèle: Rise of the Mummy in Malaysia and Singapore, is a 2010 French fantasy adventure feature film written and directed by Luc Besson. It is loosely based on the comic book series of the same name by Jacques Tardi and, as in the comic, follows the eponymous writer and a number of recurring side characters in a succession of far-fetched incidents in 1910s Paris and beyond, in this episode revolving around parapsychology and ultra-advanced Ancient Egyptian technology, which both pastiche and subvert adventure and speculative fiction of the period. The primarily live-action film, shot in Super 35, incorporates much use of computer animation to portray its fanciful elements and contemporary action film special and visual effects within the form of the older-style adventure films they have largely superseded.